Here are the winners of our “2008 Best of the West.” Sit back and see if your pick made the list. Ask today’s top bootmakers to name their favorite in the business, and you’ll hear “Dave Little.” This year, Little became an even bigger celebrity after USA Today named Little’s Boots one of “10 great places to be a tourist—and a shopper.” Rightfully so. “We had people who took taxis over with no intention of buying boots; they just wanted to see us,” Dave says. “That was something.” What’s really something, though, is a pair of Little’s boots. Nate Funmaker, a member of the Ho-Chunk tribe (formerly Winnebagos), has natural-born talent as an artist. After all, his father was known for the etchings he did on stone or ivory, and his mother was an artist in tribal beadwork who also soaked and molded wood into cradleboards. Funmaker moved to the Four Corners country in Colorado where he had an opportunity to study hatmaking in 1994. Now he is a master hatter, owner of Nathaniel’s of Colorado and one of the few Indians in the country making cowboy lids. We like it that his hats were worn on the heads of Will Smith and Kevin Kline in the movie Wild, Wild West, but Hollywood should call on him again. Thom Ross not only paints on canvas, but he brings his art to life by painting life-size plywood figures for various settings. This year, he began work on his 120-piece artwork, recreating Buffalo Bill Cody and his Wild West show, on Ocean Beach in San Francisco. The Buffalo Bill exhibit will travel to Ross’ resident town, Seattle, Washington, for a show in July 2008. Ross’ creative style puts a fresh spin on contemporary Western art. James Sturgeon learned the leather crafting trade from his grandfather, Bill Farrow, in Laveen, Arizona. James paid tribute to his mentor by naming his business “Bill’s Saddle Shop” when he took over to make saddles, cuffs, saddle bags, chaps, spur straps and head stalls. The name has changed to J.S. Saddlery and the business is now in Cliff, New Mexico, but the quality is still there. Sturgeon is the best in fulfilling any type of custom leather order, so if you can’t find that tooled halter you once got at your local tack shop, he’ll make every effort to get you what you want. The Yellowhorse family has always been on the cutting edge of life on the Navajo Nation near the Arizona/New Mexico border. For more than 25 years, David Yellowhorse of Yellowhorse Ltd. has collaborated with Buck Knives to create unique knives. David’s knives are more than fine cutlery; they are art, with wonderful inlay work, that pay tribute to Navajo culture. We’re glad to see that David has been passing down that tradition to his son, Brian. We should have stunning Yellowhorse knives for at least another generation. Fifty years ago, Don King turned to saddle making full time. Not much time passed before his highly crafted saddles—featuring the distinctive hand-tooled designs that became his trademark—became sought after by horse aficionados and collectors everywhere. Even today, the “Don King” or “Sheridan” style is known around the world. When Don King passed away in 2007 at age 83, he certainly left an important legacy. The future looks promising too, as his son Bruce runs the operation and continues this important Western tradition. Despite the perils to his health, Kendrick uses traditional methods to make tintypes of striking Western figures. The process exposes the photographer to a small lab of toxic chemicals, but the result is unmistakably authentic. His work seems to transcend modernity; some of his tintypes could easily pass for 100 years old. Look for Kendrick’s photographs in National Geographic and listen for his wife’s voice on NPR as they chronicle their trips across Texas, capturing the state’s immortal cowboy culture. Baxter Black is probably the best-known cowboy poet (and former large animal veterinarian) in the country. No surprise there—in addition to books, public appearances and audio books, Baxter is frequently heard on NPR and has a weekly column published in more than 100 newspapers. Yep, the man’s stuff has a wide audience (especially for a poet) that appreciates his humor and his down-to-earth perspective. But he’s never gone Hollywood; he still lives the Western life in Benson, Arizona. Frederick W. Nolan declared his independence from the rat race 35 years ago when he resigned from an advertising job to become a full-time writer. In the intervening years, he’s authored some of the best books about Billy the Kid and his times (Oklahoma Press has just released his collection, Billy the Kid Reader). In 2007, Fred further cemented his place as a top historian (he’s been one of the best forever) and writer with Tascosa (Texas Tech University Press), a look at a somewhat ignored outlaw town. Crisp writing, top-notch research—that’s Fred Nolan. It’s a good thing he quit his day job. The James-Younger Gang’s raid on Northfield, Minnesota, has been recounted countless times. How could anybody come up with a new angle? Well, Johnny D. Boggs has done it in his book Northfield (Five Star Press). He wrote each of his 23 chapters from the perspective and in the voice of a particular character—even a five-year-old girl! His book is a remarkable effort, but that’s no big surprise. Boggs may be the best Western Fiction writer of his generation. He’s got two Spur Awards, and Northfield deserves a third. In operation in San Antonio, Texas, since 1881, the Buckhorn Saloon features six overhead mirrors, originally called “shooters’ mirrors,” mounted over the back bar. When his back was turned, the bartender watched his customers from these mirrors. From this bar, Teddy Roosevelt recruited Rough Riders and Pancho Villa is rumored to have planned the Mexican Revolution. Many of the original furnishings still grace the saloon, including the back bar, which was handcrafted of marble and cherry wood. This saloon has not sacrificed its history to turn a profit, but celebrates it in all its glory. Staying at this hotel in Buffalo, Wyoming, allows visitors to slip back into time and sleep where Western heroes and regular folk laid their weary heads. Built in 1880, the hotel still showcases many of its original features and furnishings. The saloon and restaurant are also original, which makes for a fine setting for a cool drink or a delicious meal. Don’t forget to allot some time to read a book in the lobby/parlor and rock in the chairs on the front porch. The unending collection of John Wayne memorabilia that adorns this pleasant American eatery will make you feel as if you’re sitting down to eat with Rooster Cogburn himself. Maybe the best piece of memorabilia is the café’s location in Ridgway, Colorado, just mere feet away from one of True Grit’s iconic shoots. If you can take your eyes away from the décor and the view, the café serves great home cooking and locally raised beef fit for a king, or a duke. Getting to Tavaputs requires either a four-wheel drive or a small plane that can reach the plateau, some 9,000 feet above sea level and 45 miles from the nearest town, Price, Utah. But once you arrive, the scenery is amazing (you can look into the canyons below and beyond), the food is great and owners Butch and Jeannie Jensen are outstanding hosts. They’ll tell you some family stories about Butch Cassidy at the drop of a hat. They also raise cattle just like their ancestors did. Trust us, visiting this ranch is more than worth the trip. Tailors who base their designs off garment guides from 1853-95 are our kind of people. 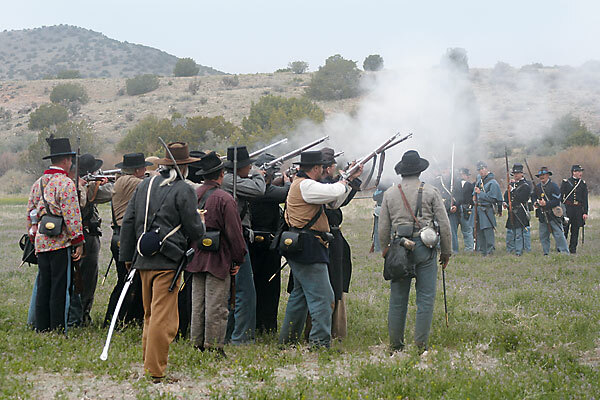 The proprietors in Richardson, Texas, also recreate their authentic period clothing based on firsthand accounts and from photographs and artwork of the time. They also consult quarterly fashion magazines and trade periodicals that specified the latest changes to men’s clothing. By using those resources, they can ensure their tailoring techniques are the same as those used in the original mid-19th century apparel. Cattle Kate in Boise, Idaho, allows the modern woman to dress for the past. Her historic women’s designs make it easy to step back in time with a simple change of clothing. Exquisite trims and detailed finishing touches will remind you of the fashions once made by skilled pioneer women. Cattle Kate recently expanded her wedding line, so today’s bride-to-be can get married “Old West” style. Making your own statement is nothing new to those with a Western spirit. If you want to accessorize your outfit like no one else, then GiddyUp Jane in St. Louis, Missouri, probably has something for you. You’ll find one-of-a-kind belt buckles handcrafted from vintage jewelry and the coolest classic Western buckles. Each belt buckle is designed and crafted by Jane so no two are ever the same. Cody, Wyoming, craftsman Lester Santos mixes alder, cherry and juniper with embellishments of metalwork, leather or wood carvings into unique pieces. Shaker, Molesworth, New Mexican and Indian styles become his own “Santos Style.” The chaise he exhibited at “Cody High Style: Designing the West,” held at the Buffalo Bill Historical Center in September 2007, melded functionality with art. The piece literally invited you to sit down and relax, or stand and stare in jaw-dropping wonder at the lines of juniper sweeping into the fine leather of the chair seat and back. For decades, this gallery on East Water Street has stood out in a city known for art galleries. There’s always something going on at Joe Wade, whether it’s the annual Indian Market show featuring the premiere Western artists Buck McCain and Jack Sorenson or a “Rising Stars” reception for modern works from newer names. Jewelry by Mario Chavez, oils by Manfred Rapp, bronzes by Bob Scriver … there’s something for any art lover here. As with any gallery, the ideal way to explore the Whitney Gallery of Western Art in Cody, Wyoming, is slowly, with reflection and a keen eye. Among the artists whose works are on display are George Catlin, Alfred Jacob Miller, Thomas Moran, Albert Bierstadt, Frederic Remington and Charles M. Russell, plus contemporary work by Harry Jackson and James Bama. What sets this gallery apart is its online gallery (launched in Fall 2007) where you can see some of the originals exhibited at this Buffalo Bill Historical Center gallery. You can presently view about 60 images—with more to be added soon—at www.bbhc.org/collections/BBHC. Rare and singular collectibles attract collectors to Brian Lebel’s Cody Old West Show & Auction every June. Yet high-dollar items aren’t the only lots featured; you can also buy bits, spurs, chaps, hats and other cowboy gear. Recent lots have included original art by Will James, spurs by G.S. Garcia and a collectible that is almost a standard at a Lebel auction, Molesworth furniture. Once again, we laud Lebel for creating an auction geared toward all types of collectors. Uberti replicates its win in last year’s Best of the West, and it’s no wonder. The company continues to be the largest maker of replica guns in the world—and it is especially prized by the growing number of folks in the cowboy action shooting sports. The quality is good, the price is affordable and the look (and feel) is authentic. Colts, Smith and Wessons, Winchesters or Henrys—Uberti makes them all for people who want to go heeled, Western-style. Beautiful overnight spots and retreats fill California’s Sierra Nevada foothills, but the Foxes Inn separates itself from the pack. From the inn, it’s a quick trip to Gold Rush-era mines or to wineries. The elegant and quaint little inn, located in the center of historic Sutter’s Creek, is a nicely preserved and renovated mid-19th century Victorian with incredibly well-kept gardens and landscape. The inn even has a tradition of serving breakfast on distinctive silver service, just in case the experience was not lavish enough for your tastes. When the Durango & Silverton railroad breaks out along the high line of the Animas Canyon, your heart may leap as you see the river swirling, foaming, crashing against the granite gorge far below. This is just one point on the route between Durango and Silverton where you’ll see jaw-dropping scenery. The narrow gauge track, the soot that filters above the train and its passengers and the rustic cars all combine to make this a top-notch ride. This railroad has pleased passengers since 1881, and we don’t doubt many more to come will enjoy the ride. Savvy adventurers can enjoy the next generation in travel from this Santa Fe-based outfitter. The company upped the ante for travelers by not only providing custom tours of Santa Fe’s cultural and natural attractions, but also by outfitting entire vacations through its seamless combination of active retreats and learning experiences such as pottery making, cooking classes and stargazing parties. In an era of interactivity, this new model of vacationing might be the best fit for our informed and busy lifestyles. There’s preservation—and then there’s the Rasmuson Foundation’s work in Skagway, Alaska. It spent $1 million to purchase some 450,000 historical items, ranging from documents to photos to a 1906 streetcar to the saloon owned by conman Soapy Smith. Everything will be inventoried, and then the collection will be distributed among the City of Skagway, the Alaska Natural History Association and the National Park Service. Skagway hasn’t seen such a treasure since the Klondike Gold Rush! Jack Jackson reached into the past to come up with a way to teach Texas history—a comic book called Texas History Movies, which was used in schools from the 1920s-60s. Jackson’s version keeps the essence of the original by staying true to the interesting and creative illustrations, and the down-to-earth, humorous script, while eliminating the racist language that infiltrated the original publications. Jackson died before the project was finished, but we pay posthumous homage to him as we hope his New Texas History Movies (Texas State Historical Association) will become a vital tool in teaching students the heritage of the Lone Star State. Desperadoes (IDW Publishing) is that rare comic that somehow keeps the old with the new and the cool. On some levels, this is the classic Western tale that we all love, while on others, it is almost a spiritual tale of modern sensibilities. Alberto Dose brings this hard-to-put-down comic to life with his illustrations, while Jeff Mariotte’s stories hold equal appeal to both the Westerns fan and the comic fanatic. Leave it to the Coen brothers, Joel and Ethan, to corral and distill a brilliant but erratic book, No Country for Old Men, by Cormac McCarthy, into a lean and mean screenplay. Like so many brilliant filmmakers, the Coens know what to leave out, and that is at the heart of this excellent Western-dark comedy-drama (of course it didn’t hurt to have Tommy Lee Jones aboard). To boot, the boys even provided a clarity to the villain that many did not see in the book. Any way you slice it, these midwestern boys sure know how to write a new kind of old-fashioned Western. The Assassination of Jesse James by the Coward Robert Ford spent more time on the cutting room floor than a cheap piece of veal, but no amount of editing can mask the absolute passion Andrew Dominik brought to the film. For more than two hours, this film dances dreamily across the screen and packs every moment with a latent sense of beauty and sorrow. His sort of love and energy is rarely seen on the big screen, much less the average Western. This Working Ranch Cowboys Association-sanctioned rodeo celebrated its fifth anniversary in 2007, and while it’s a relative newcomer, the organizers sure know how to entertain folks in Colorado Springs, Colorado. From its cattle drive and art auction, to its ranch horse sale and live music, and, oh, yeah, 100 working waddies from 25 historic ranches competing in events such as wild cow milking, ranch bronc riding and trailer loading. Can you say, Cowboy up? 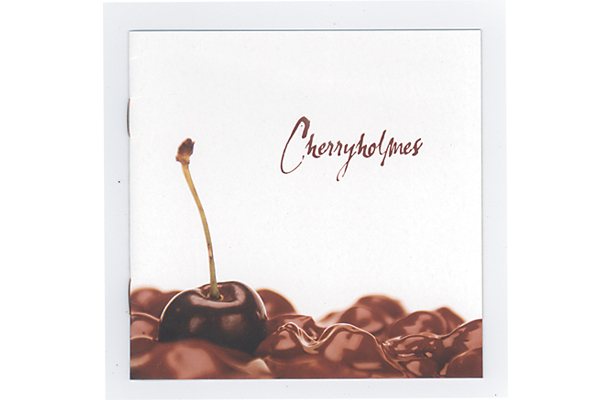 CHERRYHOLMES Cherryholmes, Skaggs Family Records, 2005; 615-264-8877. The Civil War Turns 150 What does the American West have to do with that?